After graduating from the AA School of Architecture in London, Koumidis went on to study psychology in Cologne, and has since maintained strong links with Germany. 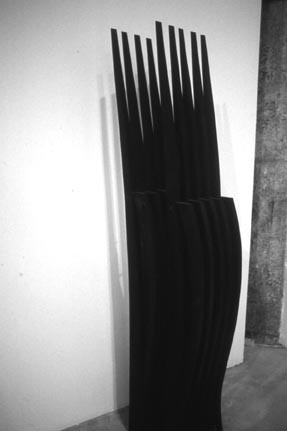 From the late 70s, he concentrated on art and writing, initially combining these two practices. The two facets of his work, which later started growing autonomously, project an idiosyncratic worldview. 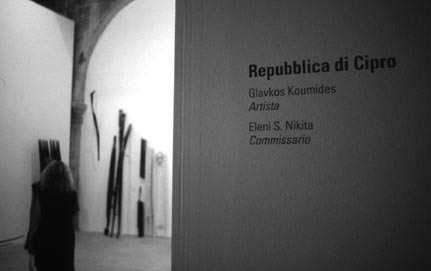 His series of literary writings, issued by Poupouxios Publications, are characteristically critical of the mentalities, behaviours, belief systems and power relations of his native society; the themes, symbolisms and concepts prevalent in his art works – mainly installations, paintings and etchings – to which he applies the term Icasmata, denoting the speculative, arbitrary nature of the artistic product, are created in the same spirit. 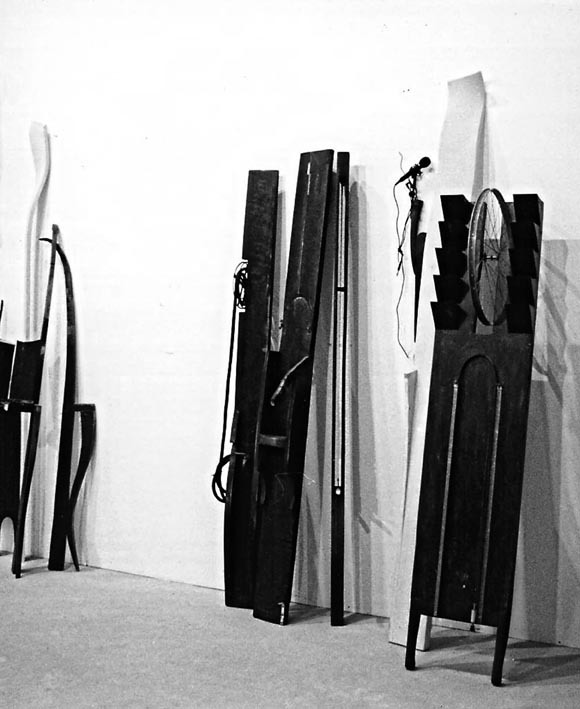 In Venice, Koumides staged a series of sculptural installations with direct references to everyday tools and furnishings typical of Cypriot folk culture and Byzantine traditions, using materials such as wood, metal, string, wax and fabric. Out of an original number of 40 works, the artist here chose to show an installation from the Pew series. 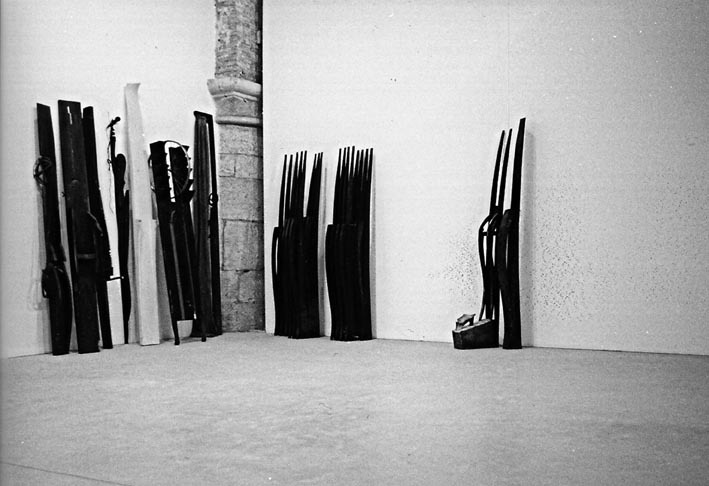 Glavkos Koumides, Exhibition View, Iota Daseia, 1999.